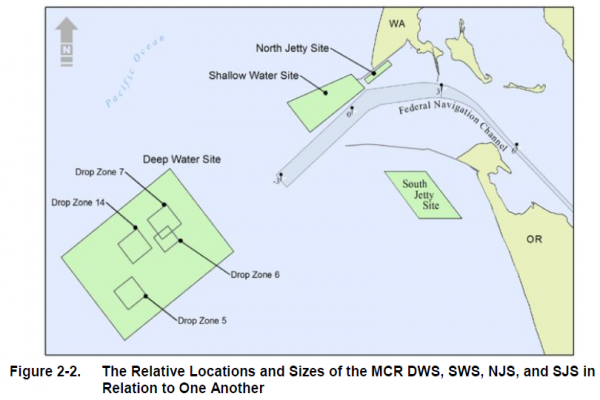 USACE and EPA share management responsibilities of the ocean dredged material disposal sites (ODMDSs) located off the coast of the MCR. USACE dredges 3 to 5 million cubic yards of sediment annually at MCR to maintain the inlet's 6‑mile-long, deep-draft navigation channel. 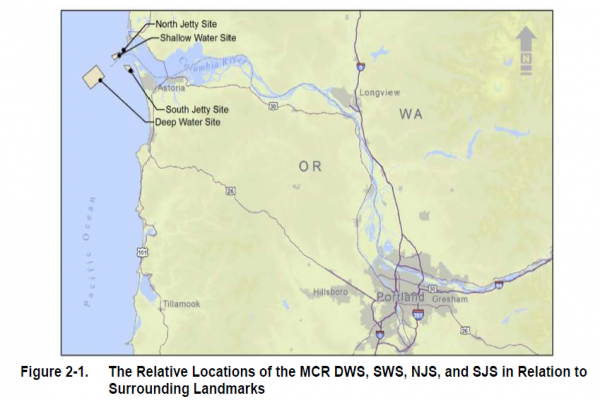 Much of the dredged material is disposed of at the Shallow Water Site (SWS) and Deep Water Site (DWS) ODMDSs in combination with the North Jetty Site (NJS) and South Jetty Site (SJS), which are Clean Water Act Section 404 sites. 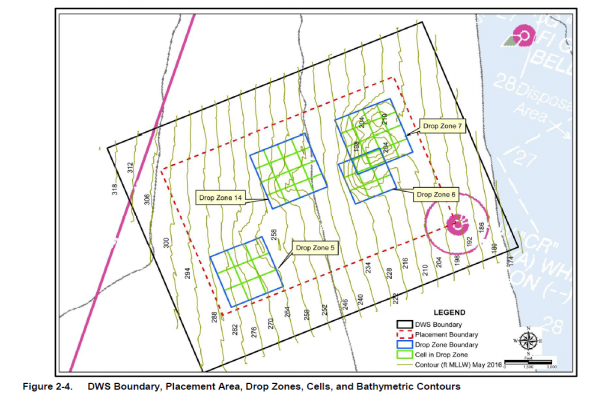 As required for EPA final designation of the ODMDSs, a Site Management and Monitoring Plan (SMMP) was prepared for the MCR deep water site and shallow water sites in 2005. These management plans are required to be updated at least every 10 years. 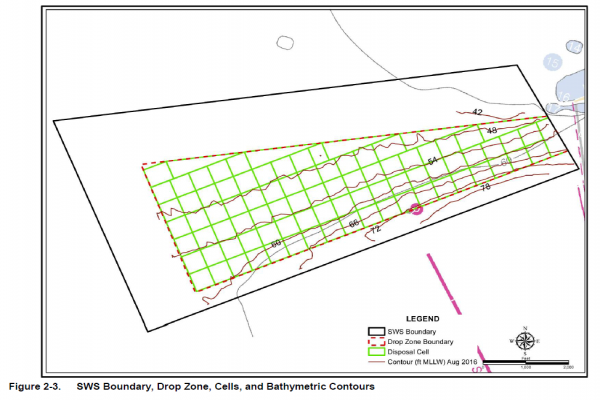 In support of that requirement, ANAMAR was contracted by USACE Portland District to prepare a data analysis and trends assessment report that compiles and summarizes all of the dredged material disposal history data, biological data (benthic infauna, epifauna, Dungeness crabs), chemical data (water and sediment), sediment profile imaging data (SPI camera), and physical grain size data collected within and adjacent to the sites since the 2002 baseline investigations. 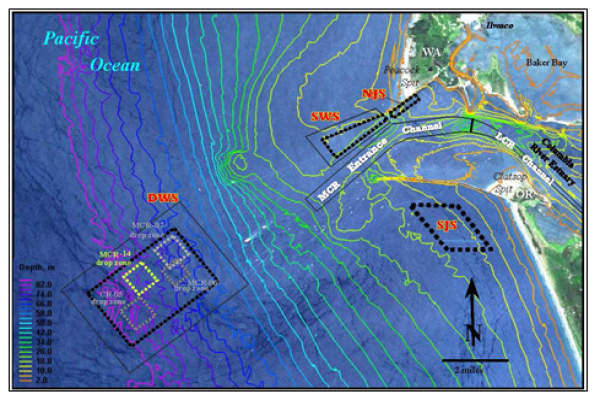 Temporal trends were analyzed using data on grain size distribution, infaunal and epifaunal community indices, and Dungeness crab population parameters. Possible impacts of disposal activities were also identified and discussed. 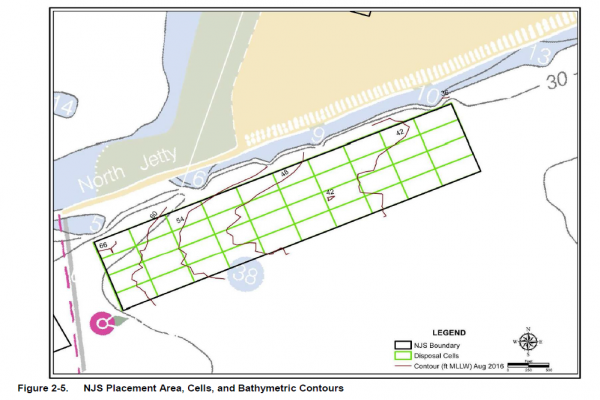 Using the results and conclusions from the trends assessment, ANAMAR was tasked with preparing an updated SMMP to provide guidance for assessing ocean dumping site impacts and for implementing and carrying out long-term ocean dumping site management. The new 2016 SMMP incorporates monitoring results since the 2005 SMMP, along with results of the trends assessment, and updates management strategies based on those results.